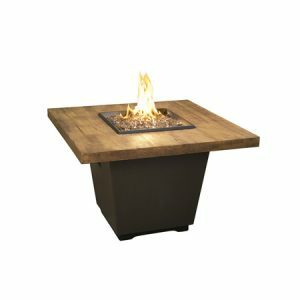 The Reclaimed Wood Contempo Gas Fire Pit Table – Rectangle is sure to add a rustic yet modern feel to your outdoor living space. 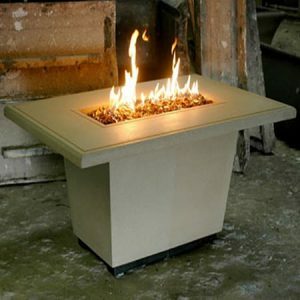 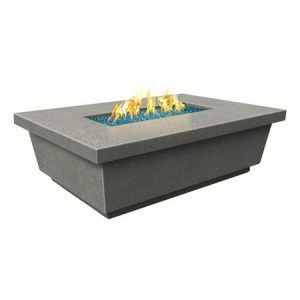 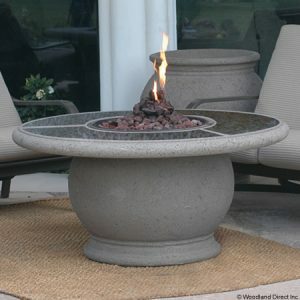 Constructed from glass-fiber reinforced concrete and using a stainless steel burner, you don’t have to worry about the elements of the outdoors affecting its appearance or performance. 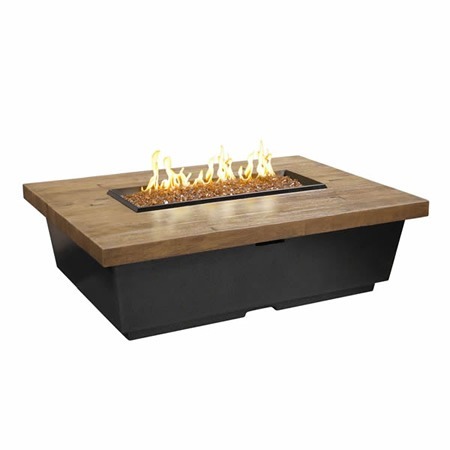 The reclaimed wood top is a beautiful addition to this fire pit table. 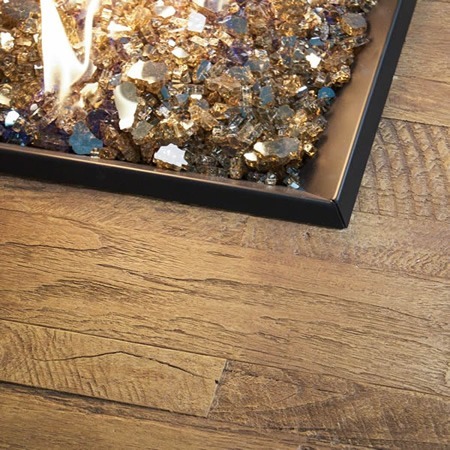 It posts no harm from the fire as it is not actually made of real wood. 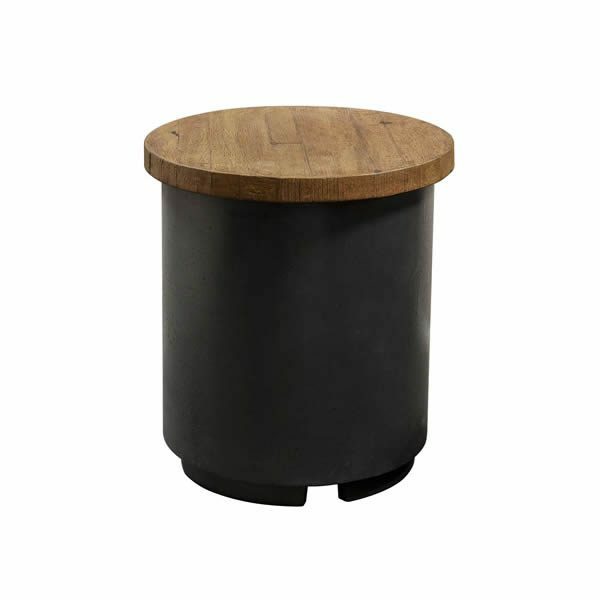 Handcrafted in the United States, the table will compliment just about any decor and make your gatherings more inviting than they’ve ever been.